The OLM to PST Converter tool is robust enough that it performs export process of all Mac Outlook files to PST file format. Users can export all the mails, address books, tasks, journals etc to UNICODE Outlook PST type. It even provides the users with an interface to convert emails along with the attachments i.e., images, documents etc in a proper format. 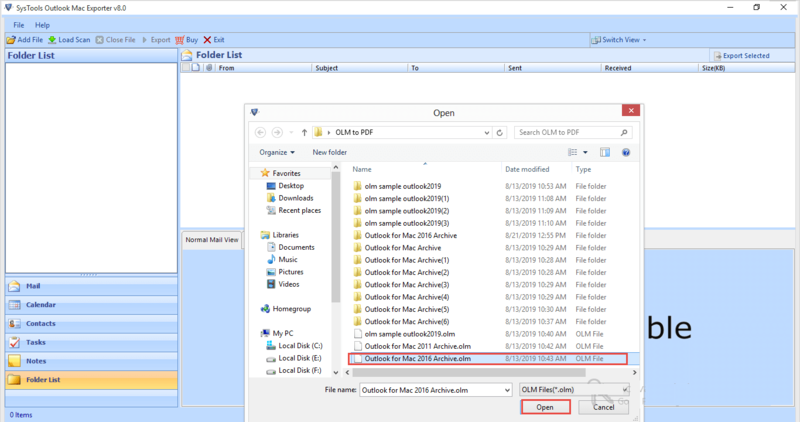 Easily export Mac Outlook 2011 / 2016 OLM files to PST format in any Windows OS. The OLM to EML, MSG converter tool is a versatile one that it easily converts OLM files to EML or MSG. It makes the users feel at ease to export the Mac Outlook emails to any other applications like Outlook Express, Windows Live Mail etc. It even allows the users to preview the items along with the associated attributes. So, users can easily shift the mails with properties like to, from, date, subject, size, details of contacts, mail ids etc. The tool allows the user to transfer MAC Outlook 2016 to PST in batch also. Converting OLM file to PST format in bulk reduces the conversion time. This will enable to transfer the entire Outlook 2016 account data like emails, contacts, etc., to respective format. OLM to EML converter provides an option to save the scanned files. This functionality will reduce the time for further scanning as these copies can be used for future reference. It depends upon the choice of user to save it or not. OLM to PST, EML, MSG Exporter is an easy approach to conversion of the files as it provides the users with naming conventions option. Using this option, the users can select an appropriate naming convention to store the emails. Users can even save the individual messages via subject, Auto-increment, MD5 & much more. The tool even ensures the users that it stores the folders & sub-folders in the same manner. 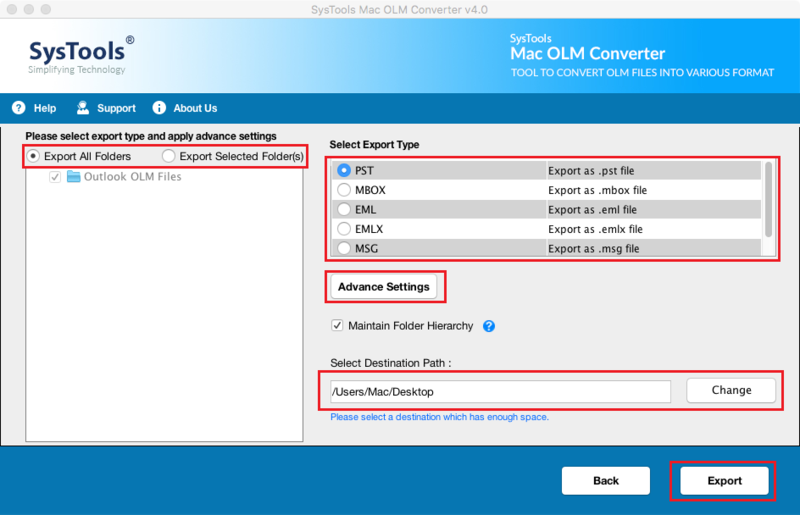 The OLM to EML, MSG Converter Tool even offers the users with an option to export the items as per convenience from Mac Outlook OLM files to EML/ MSG formats. All the users need to do is just mark that item/folder and then tool exports all the items in a single shot. Users can even uncheck the folders that they marked accidentally and there was no need to export the files. OLM to PST Converter tool allows to export or convert selective data items from OLM files. A user can save the selected folders by simply checking or unchecking the particular data items that needs to be exported. In addition, they can use date-based filter also to migrate data from selective date range. The Outlook 2011 to PST Exporter Software helps to retain the data intact as that of the original files during conversion of OLM to PST files. Also, the software export all emails along with associated attachment to any desired file format in just a few simple clicks. OLM to MSG, EML Exporter provides a variety of file naming convention options to save file in a specific format. There will no error displayed on screen when users will be importing resultant EML, MSG file in Outlook. Multiple naming convention options like Subject, Subject + Date, Date + From + Subject, etc., are provided by our tool. The program has been smartly developed with an interactive Graphical User Interface, which helps even a novice person to export OLM emails to Outlook PST. If in case, users need any type of assistance or guidance then, our technical experts are 24*7 available to provide clients with best ever possible solutions. Demo Version of OLM to PST Exporter Can Only Converts 25 OLM Items/Folder to PST, EML, MSG File Format. Alike PST files, Outlook for Mac stores its mailbox data in the OLM file format. It comprises of emails, contacts, tasks, appointments, notes, etc., of Outlook for Mac email client. Outlook for Mac 2011 and 2016 both creates .olm file on Apple operating system. Why Outlook for Mac to PST File Conversion Needed? Explain How OLM to PST Converter Tool Works? Step 2: Browse and add OLM file. Step 3: After complete scanning, the software will display all the data items. Step 4: Select the emails and click on Export button. Step 5: Choose the desired file format as well as location to save the converted file(s). Apply filters for selective conversion. Step 6: After successful export process, you can navigate to the saved location to get the output. 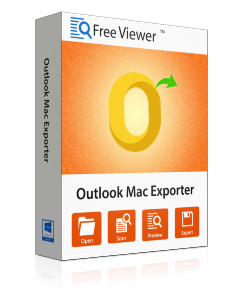 Is the Outlook 2011 to PST Exporter tool compatible with the Mac Operating Systems? No, the software does not run in Mac Arena but, it transfers Mac OLM files to MSG, EML etc. It is basically a Windows Based Utility and is operable on all Windows Operating Systems be it later ones or the newer ones. Is there any file size limitation imposed on the size of files by OLM to Outlook PST Converter Tool? No, there are no restrictions on the file size by the software. Users can easily export the files of any size via utility without facing any problem. While exporting OLM files to MSG format, I am having problems. Is this because of the utility or something else? The tool does not create any errors while exporting OLM files to MSG. You need to check whether the Outlook is installed properly in your system or not. Sometimes while exporting the files, there exist problems like the user is exporting corrupted OLM files. So, in such cases you need to check whether OLM files are functioning properly and if the problem still exists, you need to Repair Corrupted OLM File. What PST format is generated using this tool? OLM to PST converter creates a Unicode type PST file where is no limitation to file size. If there is a need to split the output PST file, it can be done by dividing into multiple parts by size. Does the OLM to Outlook PST Exporter tool provide users with any additional features? Yes, the tool gives the user an option to save the scanned files, split oversized PST files to fractions, file naming conventions, and much more. Does the PST file attain the same folder structure as that of OLM file? Yes, the OLM to PST converter provides the resultant PST file with the same folder structure maintaining the data preserved without any data loss. Does the tool support to import OLM to Outlook 2016? Yes, Outlook MAC Exporter enables to migrate OLM to Windows Outlook 2016 and all its below versions including Outlook 2013, 2010, 2007. "Firstly, I utilized trial version of OLM to PST converter but, the only software that I found reliable for me was this Outlook 2011 to PST Exporter. It was very easy for me to select the best application to export Outlook for Mac emails to PST with all required operations. Thanks!" "FreeViewer provided me an ultimate way to transfer data items from OLM to PST file format in an affordable cost. What I like about this tool holds data integrity throughout the procedure. I am very happy and completely satisfied with this application and thus, suggest it to all for the same." "Earlier the migration process frightened me like a nightmare. But, then I came across this tool. The application has such a wonderful interface that it can easily export Mac OLM files to EML, MSG, etc. Also, works fine on any Windows operating systems from 10 to XP version. So, I switched to the demo version of software it was so wonderful, that I bought the entire package. Thank you, Developers! for your effort." "Using this tool was really an easy task. Earlier, I was concerned that how can a single utility perform such a difficult task with so ease. I would really recommend everyone should give this Tool a try. The software easily solves all the problems taking users perspective into consideration. A big heartily thanks to the developers who are behind the development of the tool. Kudos! guys for your sheered work." "I was looking for OLM to Outlook converter. It was my luck that I found Outlook MAC Exporter. A perfect tool which also helped me to convert OLM to EML format. I was surprised as the conversion tool hardly some time which helped to finish my task easily." "I have used so many paid tools to convert OLM into MSG format but I was not satisfied. Later I came across with Outlook Mac Exporter which helped to convert into my desired format without any data loss." This OLM to PST Converter for Mac allows users to migrate their OLM files into five Windows formats: PST, EML, EMLX, and MSG. After conversion, users can open the files on any Windows system with the help of email clients that support these file formats. Moreover, this software works on OLM file created in both Mac Outlook 2016 and Mac Outlook 2016. The application contains the option to Add Folder. It means that users can easily add a folder containing more than one OLM files to this program. Once you add the folder, the tool will start importing the files in a batch. Because of this feature, users do not have to add multiple OLM files one after another. This software is equipped with technology that helps to retain the on-disk folder structure of the source. As a result, even after converting OLM files into PST, users will get the same folder structure in the resultant file too. This will be helpful for the users when they access the destination formats. If users are not interested to migrate all emails of an OLM file, they can take the help of this feature. This program offers date-based filtering option for selective email migration. All you have to do is to select the date range. Then the tool will export the emails received with the specified date range. When the files are to be converted into EML, EMLX and MSG formats, users can also select the naming conventions for the files. They can choose from options like subject, DD-MM-YY+ From, DD-MM-YY+ Subject, and many more. This feature helps users to organize and manage their emails in a proper way. Along with the emails, OLM to PST Converter for Mac also converts the attachments into PST and other supported formats. This feature saves the users from a lot of trouble as they do not have to choose any other tool for attachment migration. This tool exports all types of OLM attachments in their original form. Is This tool capable of exporting Mac Outlook 2011 OLM file? 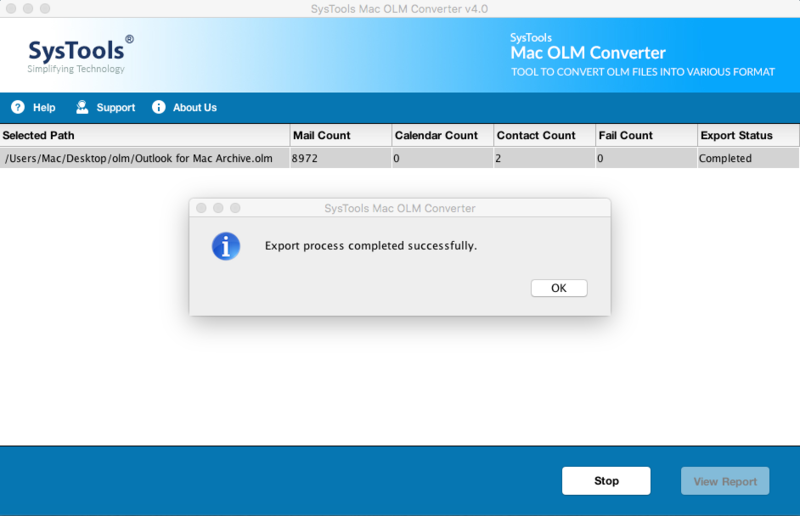 Yes, the program can process OLM files of 2011 and 2016 versions of Mac Outlook. Can I run this tool on Windows systems? No, this tool will only function on Mac OS run machines. Will this utility provide me with an export report after the conversion? Yes, it will generate a report with all the details of the export process. Is there an option to remove the added OLM files from the software? Yes, you can use Remove and Remove all buttons to remove single of all mistakenly added files. Does it require Outlook installation on the system? 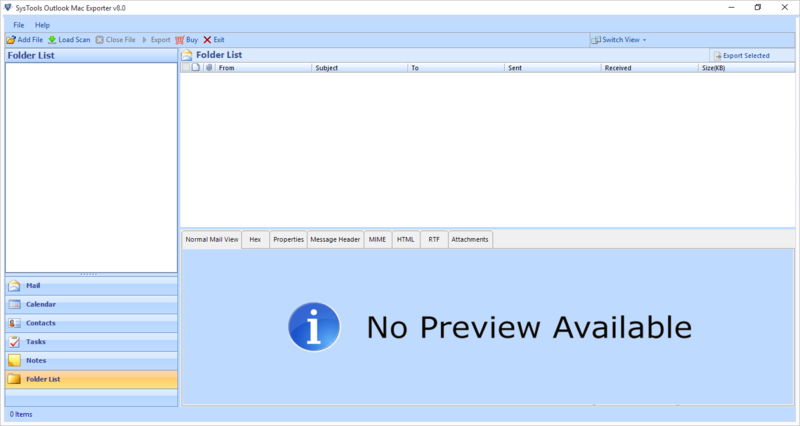 No, you do not nee Outlook installation in order to run this standalone application. Where will the program save the resultant file? Users have the option to choose their preferred location to save the file. 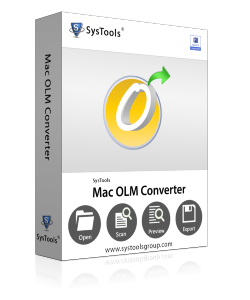 "What I like about OLM to PST Converter for Mac for Mac is its interface. My father does not have much expertise in technical matters. When he needed to convert some OLM file to PST, I asked him to use this tool. He was able to handle the software without any trouble. Besides, the tool perfectly does what it is supposed to do: export OLM files to Windows supported files." "I was in real trouble when I had to switch to Windows from Mac Machine. Though I kept using Outlook email, their data file formats do not match. So when I wanted to run my Mac Outlook OLM files in Outlook Windows, it did not work. Then I came to know about Outlook Mac Converter. It solved the problem and converted OLM files in PST." "I needed to convert some of my emails into OLM format. Sadly, those emails were from Mac Outlook, so I was getting issues. Then I searched for a robust application and found out this software. 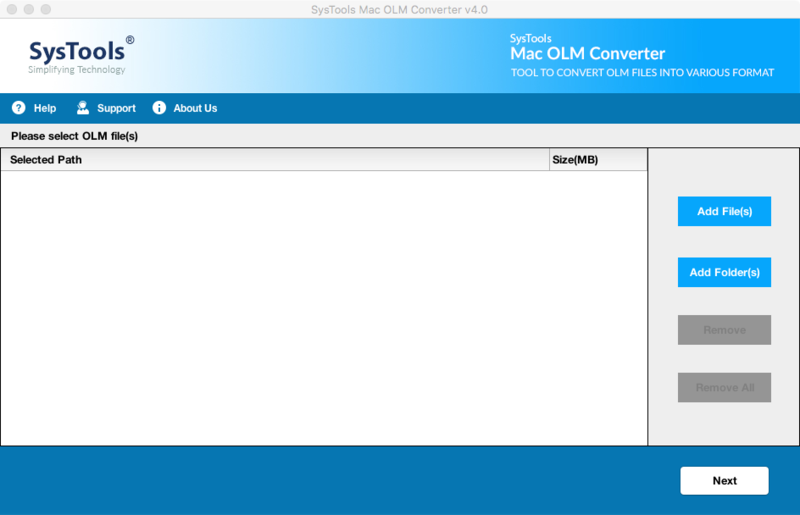 This tool is affordable and exported OLM files without changing data integrity. I thank the developers for this software." "This is the best tool in the market that migrates Mac Outlook files into five different formats: PST, MSG, EML, and EMLX. All these resultant files run on Windows systems without any issue. If you are worried to convert OLM files, choose this software. It can be run on all the latest Mac OS versions."